Ever sinceit was firstdeveloped,touchscreen technology has enabled many industries tooptimisetheir production processes. Aside from its accurate touch response time, it was also designed to withstand a wide temperature range in varying work conditions. As a matter of fact, panelPCs with touchscreen capabilities are widely used in industrial applications. One example is in the food processing industry whereindustrial computersfeatureinteractive displayswhich help streamline operations [Noax ® Technologies (PDF)]. But, do you know that there are specific types of touchscreen features built for rugged applications? 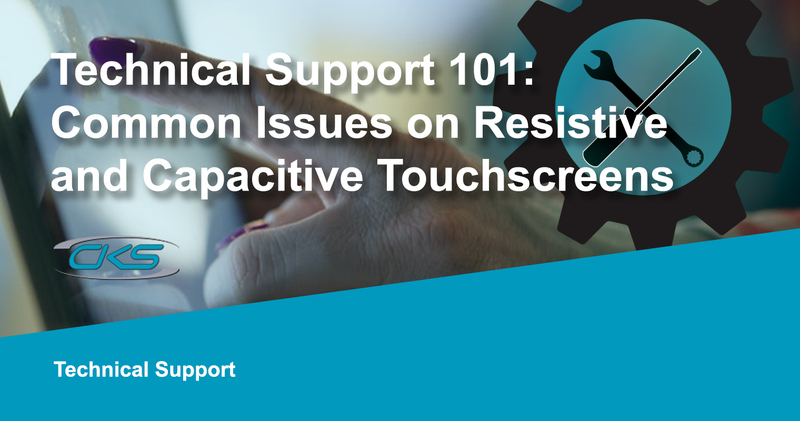 Discover more on this blog and learn the difference between capacitive and resistive touchscreen. Amongst the most popular choices of touchscreens for industrial applications are resistive and projected capacitive touchscreens. Resistive touchscreens are the most commonly used touchscreen for industrial applications [Capacitive and Resistive Touchscreens]. Its sensors detect the user’s touch pressures when inputting commands and translate it into the device. Its durability makes it one of the mostutilised touchscreeninterface for industrial operations. Capacitive touchscreens are used to be integrated into mobile phone devices. Its features offer a smoother and more responsive interface with accurate pointer dragging capabilities [Nauticomp]. This is also the main reason why capacitive touchscreens are built for indoor use such as retail store kiosks and restaurant kiosks. Devices with a responsive touchscreen features can beoptimisedin many industrial processes. But,computers with these specifications are also prone to several technical glitches. So, in the next sections,learn about the 3 common issues on touchscreensbefore choosing an industrial PC. Actually, rugged computers with responsive touchscreen interfaces helped many industriesoptimiseits production output. It provides the operators with an ease of use which improves their work efficiency. However, industrial-grade touchscreens are also susceptible to unavoidable issues. Here are the 3 common problems with touchscreen technology. Touchscreen features have a complex program which determines its functionality. However, some features of the software can cause conflict with its existing properties on the operating system. So, it is advisable to check the program compatibility first before upgrading the existing operating system. Ghost touchscreen problems or also known as touch glitches refers to the device falsely registering a user’s touch input. This is common in mobile devices but can also occur on rugged PCs. Now, the safest solution to fix this issue is to call your device manufacturer’s technical support . They can guide you through the proper device diagnosis and solution. In some instances, a device’s touchscreen display remains unresponsive despite proper calibration and no compatibility issues. One reason for thisproblemis typically inthe hardware,which may have occurred during the manufacturing or transpiration process. So, contact the PC manufacturer’s representative and inquire about the product’s return policy. Indubitably, touchscreen technology has proven to hasten several processes and improve operational efficiency in many industries. But, relying on this technology also means that any technical issue and hardware malfunctions can also delay industrial processes. So, it would be best to call a reliable technical support to solve touchscreen technical problems as soon as possible. Contact anIC experttoday and find out more about fixing any touchscreen issues for your device.